This Week In My Classes: Team Brontë! I got a bit snippy with the tweeters from Oxford World’s Classics a couple of days ago. Poor things: they were just doing their job, spreading some news about great books and trying to get people to click through and read it. How could they know that I was already feeling grumpy, for reasons quite beyond their control, and that this particular gimmick pushes my buttons on a good day? Despite recent strident proclamations about the importance of critical partisanship, the wonder of literature is that we don’t have to take sides — except, at any rate, against the cheap or the shoddy. (And though I am as quick to attack these when I think I detect them as the next critic, I think Weseltier moves rather too quickly past the problem of the critic’s inevitable “fallibility” in his call for “mental self-esteem” — his complaint about A. O. Scott’s “epistemological humility” as a critic actually plays neatly into the topics of the talk I’ll be giving in Louisville next week.) It’s a good thing, too, because who would want to decide which of Pride and Prejudice or Jane Eyre should get voted off the literary island? To be forced into such a choice would be truly tragic, because it would be choosing not between the good and the bad, or the good and the better, but between two competing goods, each equally deserving of our passionate loyalty. We would become critical Antigones — and our literary lives would suffer accordingly. But (and you knew it was coming, right?) if for some absurd reason I absolutely had to choose, not which novelist is in any absolute sense “the greatest” but whose team to play on, it would be Brontë all the way — and I say that having only just enjoyed Pride and Prejudice entirely and absolutely for about the 50th time. We’ve just started working our way through Jane Eyre in the 19th-century fiction class and what a thrill it is. I know it’s a cliche to associate the Brontës with the moors, but it does feel as if a fresh, turbulent breeze is rushing through, stirring things up and bringing with it a longing for wide open spaces. The freedom and intensity of Jane’s voice, the urgency of her feelings, and of her demands — for love, for justice, for liberty — it’s exhilarating! I brought some excerpts from contemporary reviews to class today to demonstrate the shock and outrage with which some 19th-century critics received the novel: it’s striking how much the very qualities that enraged and terrified them are the same ones that make so many of us want to cheer Jane on. By the end we know that we should not have allied ourselves so readily with Jane’s violent rebellion, and we may even be equivocal about the conclusion to her story, but I think it’s impossible to read the novel and not be wholly caught up in her fight to define and then live on her own terms. It’s not all about feeling, though: there is tremendous artistry in the telling as well, and of course the novel is endlessly provocative to interpret too, from its imagery and symbolism to its evocations of fairy tales, from its religious debates to its feminist declarations, from its colonial entanglements and psychological intimations to its re-imagining of the marriage plot and the novel of development. I think that in some ways it anticipates Gaudy Night in its exploration of the relationship between head and heart, and in the radicalism of its heroine’s (and its author’s) refusal to succumb to the fantasy that love alone is all we need. I started rereading Emma recently and had to put it aside. I appreciate that it is aesthetically and morally complex and infinitely nuanced, but I felt smothered by it: I found it claustrophobic. Brontë’s criticism of Austen is well known: she told G. H. Lewes that in Pride and Prejudice she found only “an accurate daguerrotyped portrait of a commonplace face; a carefully fenced, highly cultivated garden, with neat borders and delicate flowers; but no glance of a bright vivid physiognomy, no open country, no fresh air, no blue hill, no bonny beck. I should hardly like to live with her ladies and gentlemen,” she went on, “in their elegant but confined houses.” I think she underestimated the novel — a lot of people do, still, who see just the delightful characters moving on the surface and not the currents of social and historical change carrying them along. I’m also sure that my trouble with Emma is about me, not Austen. But I understand Brontë’s reaction, and it is just the one you would expect, too, from the author of such an entirely different book, one that opposes itself in every way to both literal and mental confinement. I think that’s why Jane Eyre refreshes my soul: it rushes with us out into the hills. Jane is so defiant, so passionate, so forthright: she speaks up so fearlessly, for herself and for the right! I wish I could always do the same: I admire her principles and envy her courage. So much as I would miss Elizabeth Bennet if for some reason I had to give her up, Jane’s the one I really couldn’t do without. Still, I’m very glad I don’t actually have to choose, not least because without the the two of them together, surely Margaret Hale, and Maggie Tulliver, and Dorothea Brooke, and Gwendolen Harleth all become unthinkable — and that would be tragic indeed! I don’t teach it very often anymore: it’s too popular. Pride and Prejudice is the only work I ever teach (in any genre) that has routinely been read already, often multiple times, by many of the students in the class. You’d think that would be a great thing — and actually, in some ways it is. Students who know the novel really well bring their own expertise to our discussions; their enthusiasm, also, enlivens it. Both of these things are freeing for me: I can count on informed participation and turn much more than usual to other people in the room to help me out with details, and I can also play devil’s advocate more, with less risk of sowing confusion and more chance of just stimulating debate. 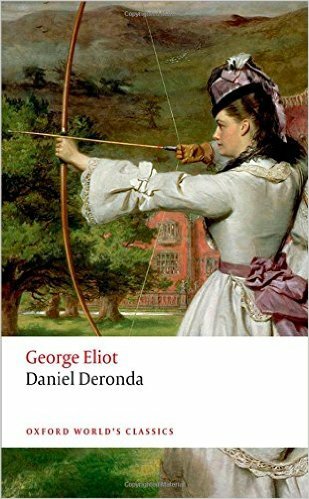 I have been reminded this week, though, returning to Pride and Prejudice in the 19th-century fiction class after many years of assigning Persuasion instead, that the novel’s familiarity has its drawbacks as well. Over the years I have found that those who know it very well may be quite entrenched in their readings of it, for example, particularly about how they interpret or judge specific characters. Students who are strongly attached to particular adaptations may also be particularly prone to reading characters or scenes in particular ways. If they’ve always read the novel for pleasure before, they may not be accustomed to paying much attention to how it is written or structured, or to questioning its premises. Their love and knowledge of it may also intimidate their classmates who are reading it for the first time: too many remarks prefaced by “I’ve read this novel multiple times” would certainly have shut me up, when I was an undergraduate, because I would have been afraid my own preliminary observations wouldn’t hold up. Obviously, these are all ultimately pedagogical issues: it’s up to me to try to make the novel fresh again, if I can — to introduce new questions or contexts, to posit alternative interpretations, to move us from character analysis to thematic or formal issues, to do my best to bring everyone into the discussion, to make the most of the wonderful fact that so many people read and reread Pride and Prejudice just because they want to. Wouldn’t it be great of that were true of more of the novels I assign, after all! And yet it’s not. Jane Eyre probably comes the closest, but even the Brontë enthusiasts are few and far between compared to the Austen lovers. I wonder, actually, if part of the difficulty I have knowing quite what to do with the gift (and I do mean that!) of a room heavily populated with Janeites is that I’m not one myself. It’s impossible not to love Pride and Prejudice, of course. Though Persuasion is my personal favorite among Austen’s novels, I am on record exclaiming over the treat P&P always is to read. But Austen is not the novelist that thrills or interests me the most — she never has been, or my own research and teaching career would look much different! It’s that whole ineffable affinity thing: as Henry James said in that line from “The Art of Fiction” that I seem to quote more than anything else of his, “nothing will ever take the place of the good old fashion of ‘liking’ a work of art or not liking it.” For me, the result of “that primitive, that ultimate, test” was someone else — and not just one someone either, really, as I get more excited about a lot of other authors I read and teach than I do about Austen. I’m not trying to be contrarian or some kind of “hipster” Victorianist — my preferences are frightfully canonical, but they really are Victorian, which Austen, after all, is not. In any case, while I do think Austen is great, she’s just one kind of great, not the only kind. Her unstoppable popularity sometimes seems like such a self-fulfilling prophecy. I can’t and don’t doubt the sincerity of her admirers, though, including those in my class. I really do welcome the energy, expertise, and keen attention they bring to discussion. I just hope I can keep them half as engaged when we move on to Vanity Fair and Jane Eyre, because I believe those novels are every bit as brilliant in their own (wildly different) ways as Pride and Prejudice is in its. 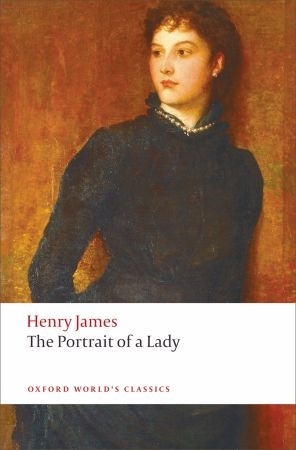 And maybe next time around I’ll try something else altogether — Emma, for instance, which would be a stretch for me and probably for more of my students, too, than is the case with Pride and Prejudice. Familiarity needn’t breed contempt, but I wonder if unfamiliarity isn’t a pedagogical advantage. This would be one way to find out! I’m deep into a rather quixotic essay project and thus stalled in my other reading and writing, including blogging. But this is no loss to you, as I’m going to fill in the gap with a lovely little piece of writing by someone else. Here’s an excerpt from a charming children’s story called The Jane Austen Playgroup. In February Laura and her mom invite us to their house for a Valentine’s party. We watch Mr. Darcy propose to Elizabeth in the Pride and Prejudice movie. Then we make valentines to give each other. My Mom says we’re wasting gold paper, the way the rich sisters Maria and Julia do in Mansfield Park. She likes it, though, when I give her a big valentine and a kiss. Zachary’s mom gives Sophie’s mom a pretty card that says, “I admire and love you, love, Mr. Darcy.” Sophie’s mom laughs and says “Thank you,” but she looks kind of sad. Pending appropriate interest from a publisher, the story is available in full on the author’s website. The photos are placeholders until there’s a full set of artist’s illustrations, but I think they work very well. Full disclosure: the author, Sarah Emsley, is a friend and former Ph.D. student of mine. I’d like to take some credit for this particular project but all I’ve contributed is my enthusiasm. Sarah has also written about Jane Austen for grownups, and she edited the Broadview edition of Edith Wharton’s The Custom of the Country.